OperaDelaware is thrilled to announce that author/activist Sister Helen Prejean will be at our opening performance of Dead Man Walking at The Grand on April 27 at 7:30 pm. Our Festival production of Dead Man Walking is based on the true account of Sister Helen’s emotional journey as the unlikely spiritual advisor to a Louisiana death row inmate. Interested in a closer look at Dead Man Walking before our performances? We are proud to partner with First & Central Presbyterian Church and Market Street Music for a special book discussion and Q&A with Sister Helen at First & Central on April 27. Full details below. Sister Helen will share her story about counseling death-row inmate Elmo Patrick Sonnier and others, and how her advocacy work continues today. This is a rare chance to meet Sister Helen in person. Admission is free. Space is limited so reservations are required. This program is partially funded by a grant from the Delaware Humanities, a state program of the National Endowment for the Humanities. DELAWARE DIVA: Soprano Jennifer Zetlan is a now regular at the Met, but the Delaware native got her start in OperaDelaware's Family Opera Program, singing in the world premiere of Libby Larsen's A Wrinkle in Time (1992). TWINKLE OF AN EYE: In addition to her busy performance schedule, Zetlan recently released Your Clear Eye, her debut solo CD with composer/pianist Ricky Ian Gordon. Opera News raved, "Her bright, shimmering timbre seems to propel the songs forward...Zetlan evinces spellbinding charisma." 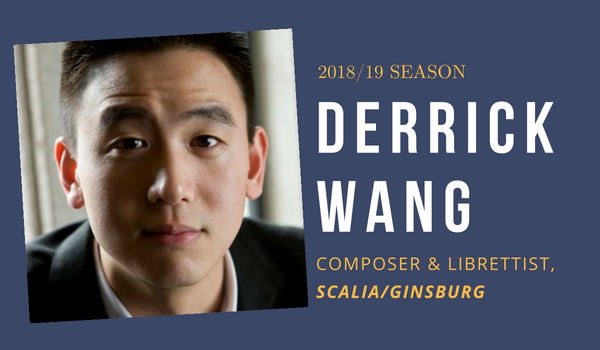 ON BECOMING RBG: "I can’t imagine a more perfect time to be working on this witty score and portraying this true American heroine. RBG is in the hearts and minds of so many, as evidenced by the recent documentary and biopic. I’m truly loving learning more about the early cases she was involved in that helped shape her career and put her at the forefront of equality legislation in our country. Especially as the mother of a young girl, I'm thrilled to represent this important woman — who has in her own right really represented all women — on stage." Performances at The Grand, 818 N. Market St., Wilmington, DE. From the OperaDelaware family to yours, we wish you Happy Thanksgiving! We want to take this time to thank you for your support and for the many kind letters, emails, and calls that have poured in since last weekend's national radio broadcast our of 2017 production of Semiramide. As you gather with friends & family this holiday weekend, we hope you'll tune in to the WFMT Radio Network Opera Series broadcast of Opera Southwest's WILLIAM TELL on Nov. 24. To celebrate the national broadcast of our 2017 production Semiramide (airing Nov. 17 on the WFMT Radio Network Opera Series), we caught up with mezzo-soprano ALEKSANDRA ROMANO, who earned rave reviews for her performance of Arsace. (We’re delighted that Romano will return to The Grand’s stage in the role of Sister Helen in Dead Man Walking, part of our 2019 Festival.) Check out our Q&A, then tune in locally on WRTI on Nov. 17 at 1 pm for the special broadcast, hosted by William Berger. OD: We're thrilled that our critically-acclaimed Semiramide is getting another audience through through this national radio broadcast. You perform all over the world. What stood out about this production of Semiramide at The Grand? 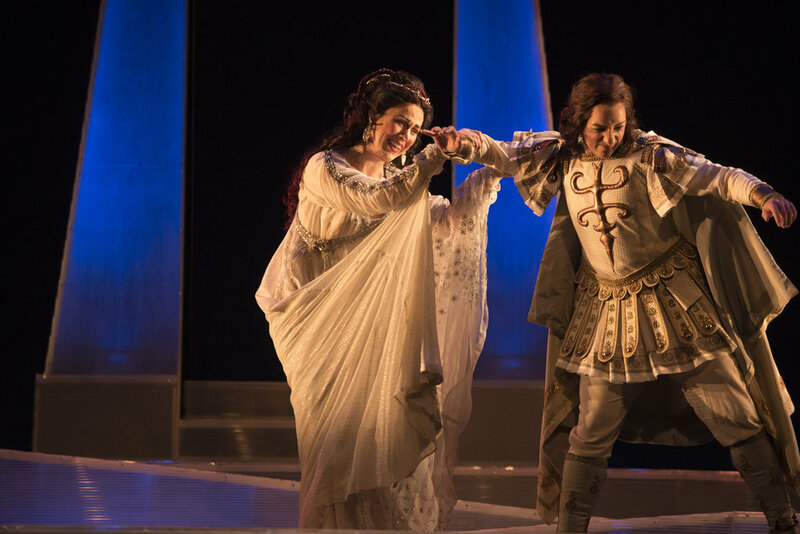 Aleksandra Romano (Arsace) and Lindsay Ohse (Semiramide) in 2017’s Semiramide. ROMANO: The Grand is truly a gem of a theater. It was perfect for our production, especially in terms of its intimate size. Rossini wrote for European theaters which were significantly smaller than the theaters we’re used to here in the States, and we were able to draw many more colors out of the music than possible when you have to project to a 2,000+ seat house. Even the simple fact of the production’s existence was a small miracle! Although Semiramide is enjoying a bit of a resurgence right now, the piece is still one of Rossini’s more rarely-performed works, and for the low lyric mezzos of the world, it’s just a gift to have a chance to sing these heroic pants roles. OD: Arsace is a notoriously difficult role, especially the fabulous duets with Semiramide [sung by soprano Lindsay Ohse]. But you and Lindsay nailed it, receiving rave reviews. Tell us about preparing for Arsace and your amazing chemistry with Ohse. 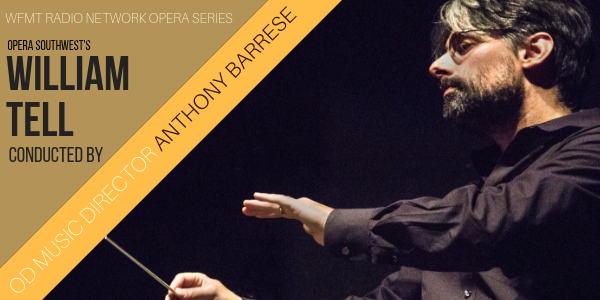 ROMANO: Arsace was one of those amazing roles where, when I cracked the score for the first time, it felt like vocal home. It is definitely one of the longer roles, with two big arias, three duets, and a trio in addition to the typically involved Rossini finales, so stamina is the name of the game. That comes with practice on my own and rehearsal with my colleagues. I feel so lucky to have had Lindsay as my Semiramide for this production. She is an absolute delight of a human, a fabulous musician, and a brilliantly supportive colleague. With guidance from Maestro Barrese, we were able to craft duets that fit our special vocal skills, which is one of the very best things about bel canto music — you’re always hearing the singer in their wheel-house thanks to ornamentation. OD: We're thrilled to have you back for our 2019 Festival, for a role that is quite different than Arsace. What are you most excited about as you take on the role of Sister Helen in Dead Man Walking? ROMANO: I’m so excited to be back in Wilmington! Sister Helen is a dream role of mine — if I can get through it without falling to weeping pieces on stage, it will be a miracle, that’s for sure. She’s exactly the kind of strong woman I want to be when I grow up. :) Being able to do contemporary pieces that address current issues is very important to me as an artist, as I really believe it is our responsibility to serve as visual — and musical — examples of the best of what we have to offer each other as humans. OD: Aside from the stage at The Grand, what Wilmington haunts are you looking forward to visiting again? ROMANO: I always make a point to visit Winterthur and Longwood Gardens while I’m in town, especially in the spring as everything starts to bloom. I’m also very excited for my triumphant return to my favorite sandwich dive, Olympic Subs and Sandwiches, and to Chelsea Tavern for a fancier bite (I guess, if I must). And definitely looking forward to exploring the museums and hiking trails again! CEDILLE RECORDS: Where did the idea for Scalia/Ginsburg come from?